Liverpool Arabic Centre (LAC) was initially set up as Nadey Al – Cul in 1995 after a group of parents from Yemeni and Arabic backgrounds raised concerns with each other about their children’s educational and personal development which was being affected by negative experiences they were having within schools and unaddressed issues present due having dual heritage backgrounds. Delivery of Cartography project in partnership with Dia Batal and Liverpool Arabic Arts Festival. Cultural music Oud and Drums music sessions and workshops in partnership with Merseyside Youth Association. Young peoples culture and diversity event Women’s cultural workshops including Henna, Arts and crafts. Continuation of weekly advice and information surgeries Introduction of women only drop-in support service Support and referral service for individuals experiencing or at risk of forced marriage. Financial systems reviewed by both LCVS & an independent consultant commissioned by the Parenting Fund Staff Away Day New advocacy project business plan and an organisational funding plan produced. LAC staff team is also supported by sessional teacher, community workers and volunteer support staff. Razak currently works as a Service Manager for Liverpool City Council’s Careline. 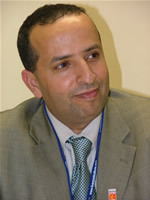 He was born in Nawa, Juban district in the Republic of Yemen and completed his primary and secondary education in Aden, South Yemen. In 1979 he moved to Taiz and joined the Taiz Electricity Corporation as a full time Clerk and continued his high school education until completion in 1983. Later that year Razak moved to Sanaa, where he completed his Army service at Republican Guards in 1984. In 1985 Razak came to Britain to study Electrical & Electronic Engineering and graduated from Liverpool University. In 1993 Razak joined Liverpool social services as social worker. In 1994 Razak he was seconded to Liverpool University and completed a Diploma & Masters Degree in social care in 1996. Razak has practised as a Social Worker in various disciplines and became an Approved Social Worker (ASW). In 2003 Razak became an Operational Manager at the social work department at the Royal hospital and in 2004 he became a Service Manager. Since arriving in the UK Razak became involved with the local Yemeni and Arabic communities offering assistance, support and advice where possible. He is also a fully qualified interpreter/translator. Razak was probably the first known Arabic speaking Yemeni to be employed by Liverpool City Council. However, his appointment sent a positive message to the community and since then, a number of community members have secured employment with the City council and other statutory bodies.